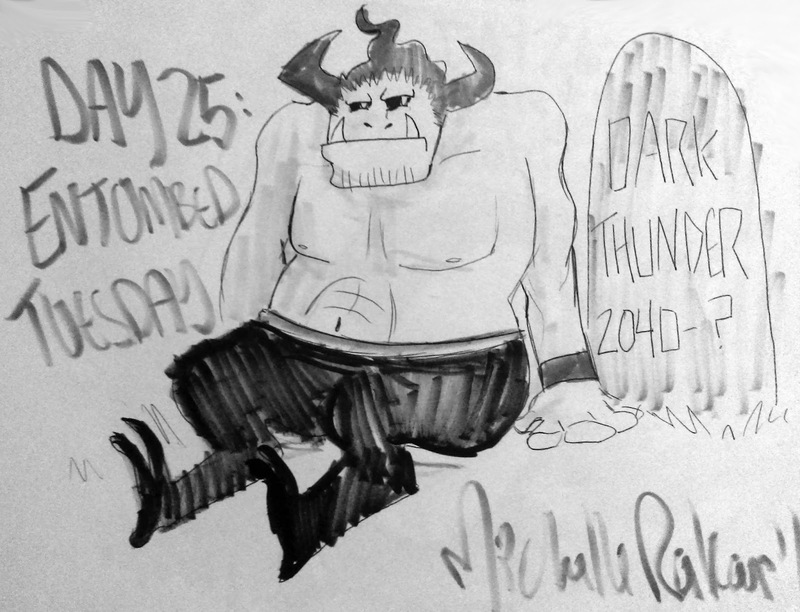 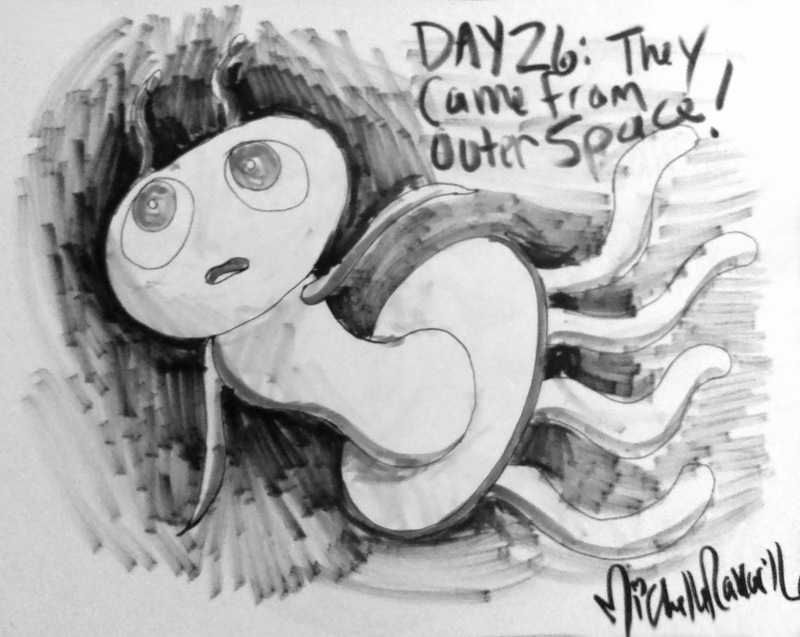 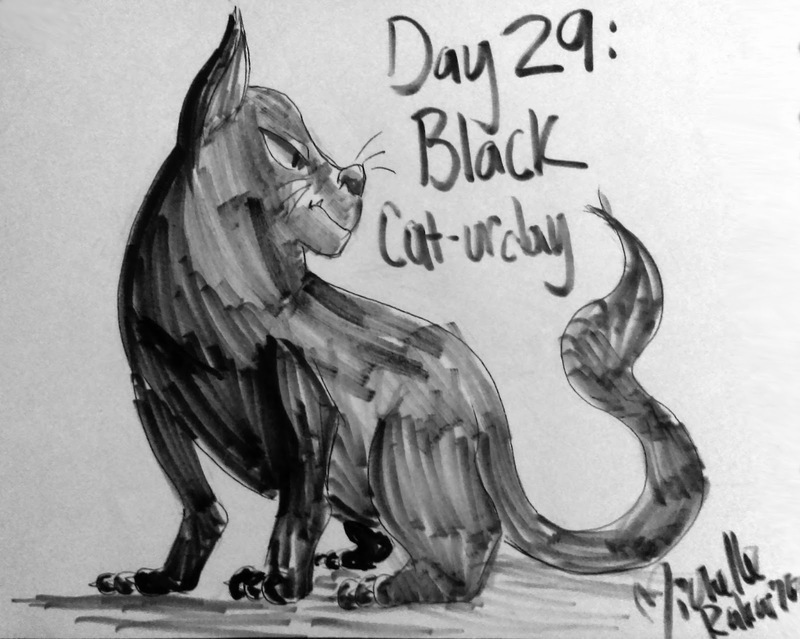 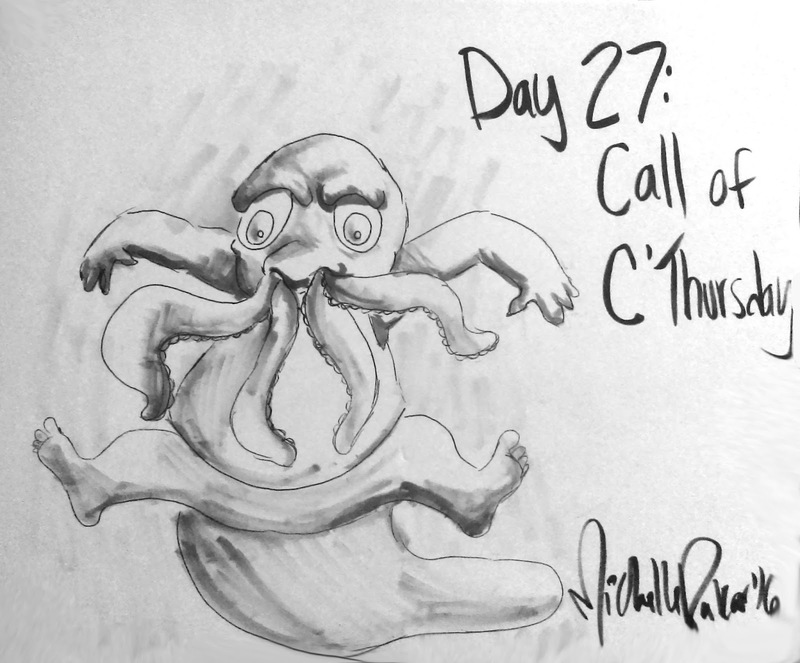 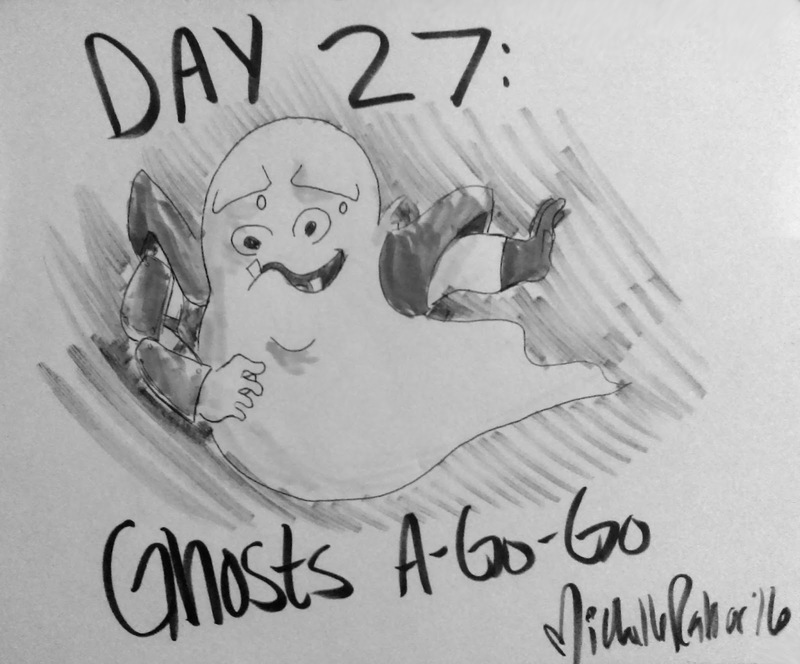 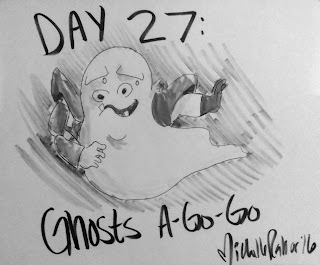 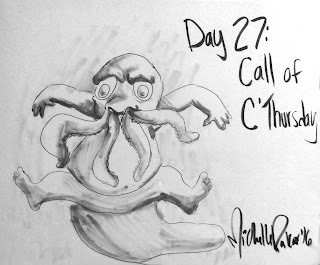 Michelle Rakar's Art Cave: Inktober is Over! 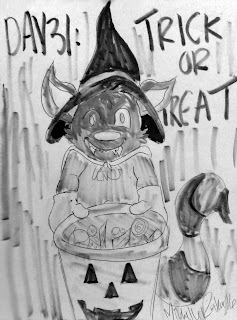 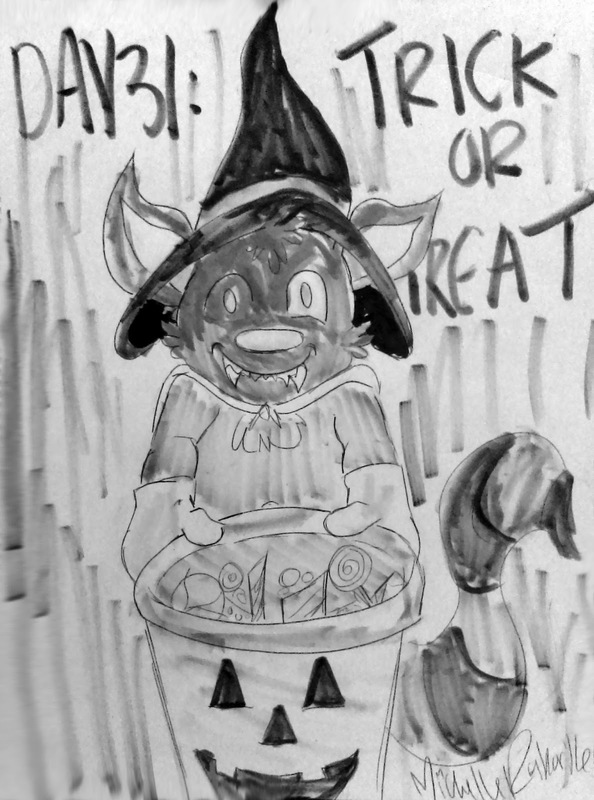 So Inktober officially ended yesterday, which means Huevember and NaNoWriMo start today! 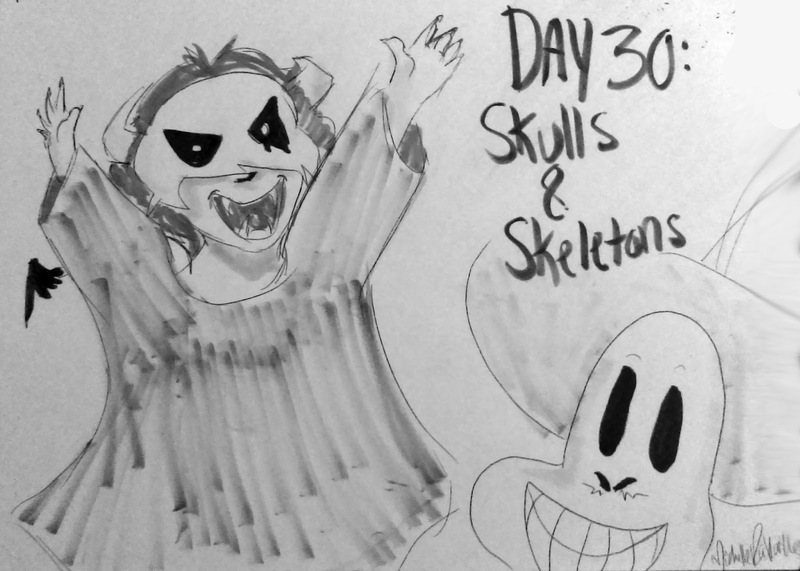 I already am setting up some ideas for those, so I'm pretty excited for this month! 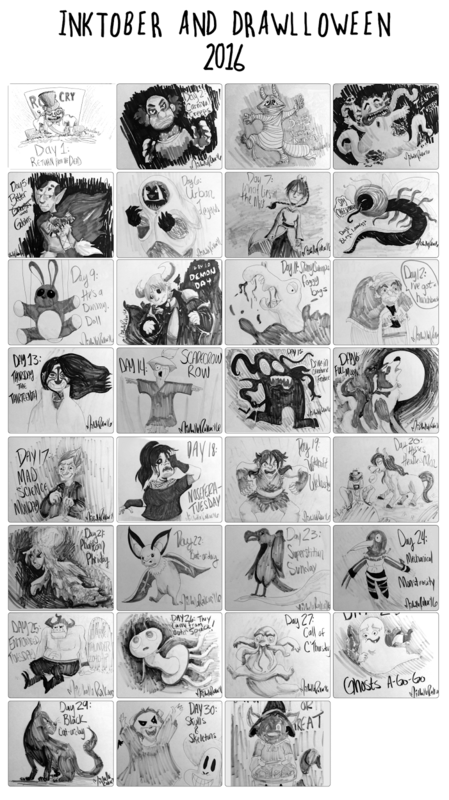 All of the Inktobers compiled into one image!